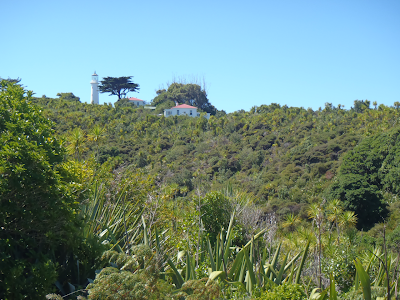 I'm back in New Zealand for a few days, and today I went out to Tiritiri Matangi Island. If you're not familiar with Tiri, it is an open sanctuary in the Hauraki Gulf, about an hours boat ride from downtown Auckland, New Zealand's largest city. After being farmed for about 130 years, in 1970 Tiri became a recreation reserve. Following the reintroduction of the native red-crowned parakeet in 1974, zoologist John Craig and botanist Neil Mitchell from the University of Auckland studied the island, and proposed reforesting and restoring it, while keeping it open for the citizens of Auckland to visit (as an aside, Dr. Mitchell was my lecturer for one course when I studied at the University of Auckland). Between 1984 and 1994 almost 300,000 trees were planted on the island, and in 1993 introduced mammalian pests were eradicated. 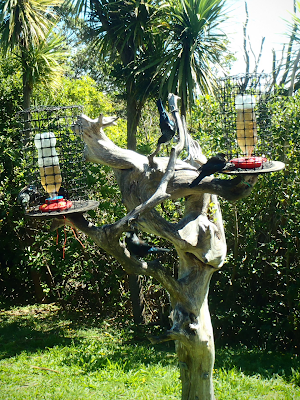 Today the island is flourishing, and bird life is abundant. 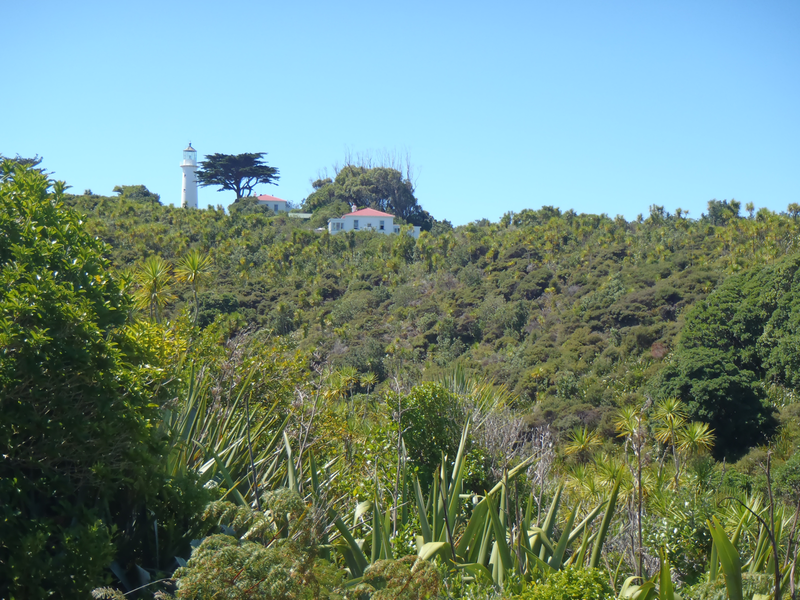 Despite initial skepticism about the feasibility of having a sanctuary that is open to the public, Tiritiri Matangi has been highly successful, and has inspired the creation of similar projects, including on Motuihe, Rangitoto and Motutapu islands in the Hauraki Gulf, as well as on other islands around New Zealand. The success of Tiri has also allowed birds to be transferred from there to other restoration projects around the country. 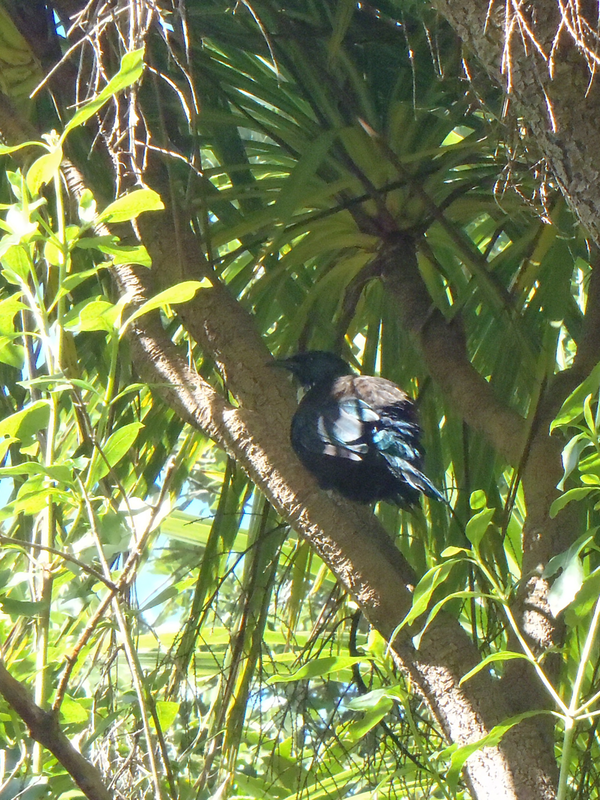 The tui was the first bird I saw on arriving at the island, and they're one of my favourite New Zealand birds. 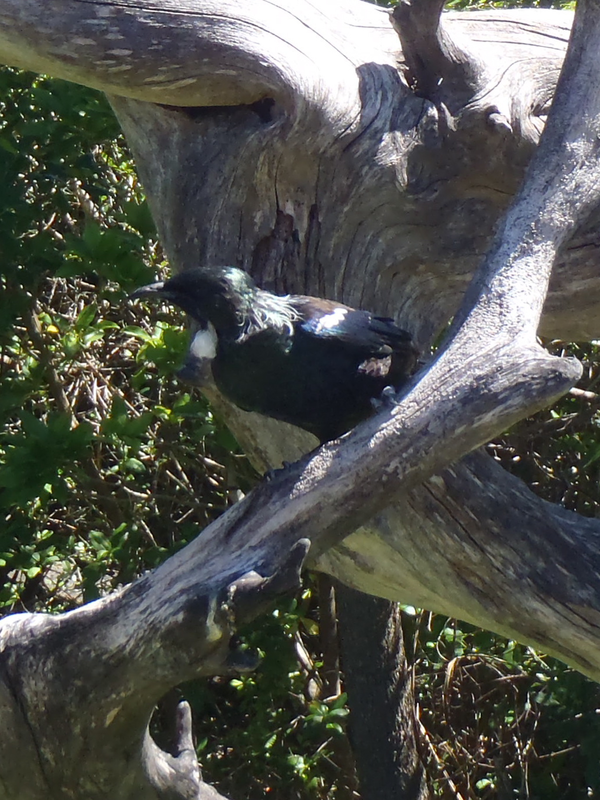 They have fared better than many species in the face of introduced species and habitat loss, and are making a comeback in the suburbs of Auckland. 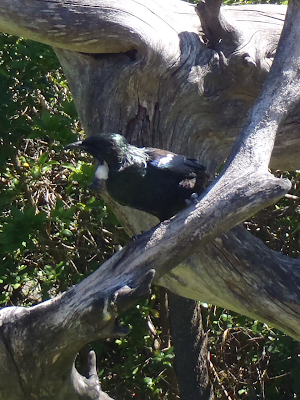 They have a lacy necklace of white feathers, and little white tuft on their throat, from which they gain their (fairly uncommon) english name of Parson Bird. They are excellent mimics, incorporating parts of other birds' songs into their own. 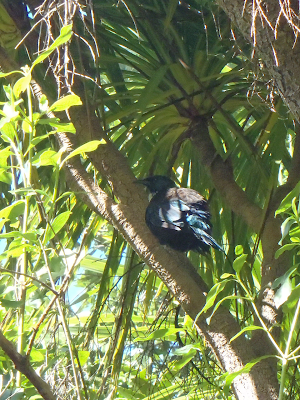 This talent extends to mimicking human speech, and you can see some videos of a talking tui called Woof Woof at the Whangarei Native Bird Recovery Centre.